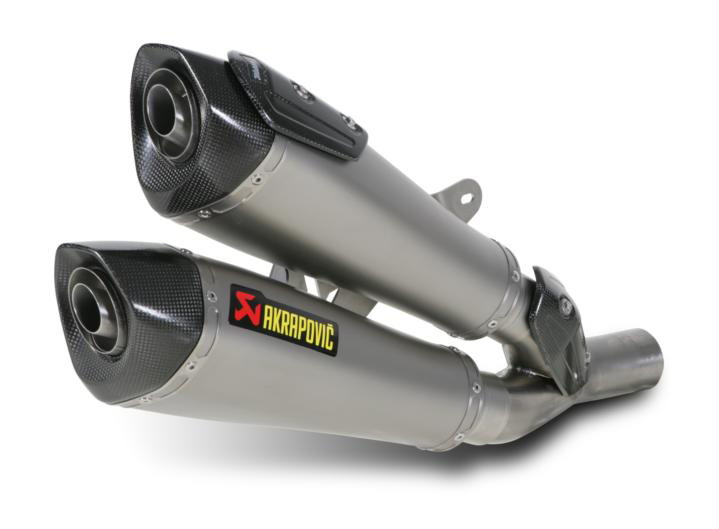 The Akrapovic Slip-On exhaust system is designed for riders who do not want to make expensive and major modifications to their stock exhaust system. However, the Hexagonal muffler delivers great looks as well as increased performance for the Diavel. The Akrapovic Slip-On system is also EC Type approved. Power & Torque: The Akrapovic Slip-On exhaust system increases your engine power and its torque at practically every rpm. Especially from 3500 rpm on, the Akrapovic Slip-On exhaust system adds an increase in power, all the way up to the top of the rpm range.